We planned catch the 12:40 train for Lublin, so had some morning time to explore. 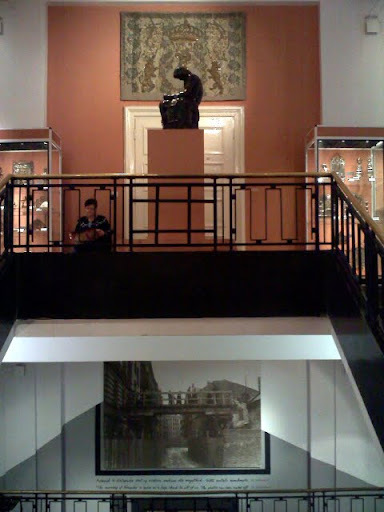 We went to The Emanuel Ringelblum Jewish Historical Institute. 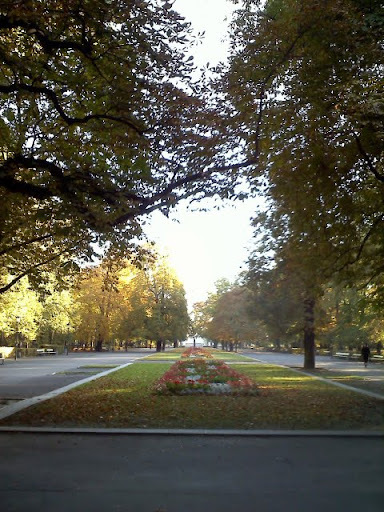 We walked through a lovely park on the way. I’m not sure exactly what the property originally was, but now it’s a lovely walk. 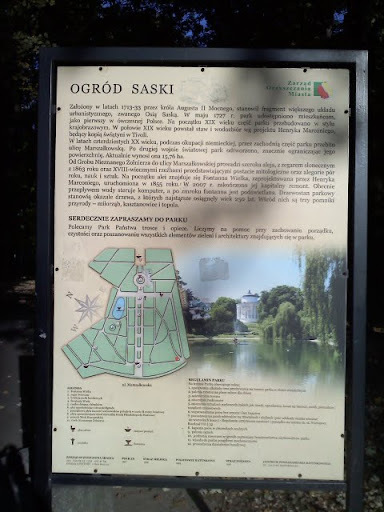 If I could read that sign, I’d know a lot more about this park. After a short-ish walk, we arrived at the museum. The building, and the adjoining Synagogue, were burned down. The Synagogue did not survive, but the shell of the Library was intact and was rebuilt after the war to become this Holocaust museum. To view the artifacts was intense. There are photos of Jews and goyem who participated in hiding and helping Jews escape the Nazis. 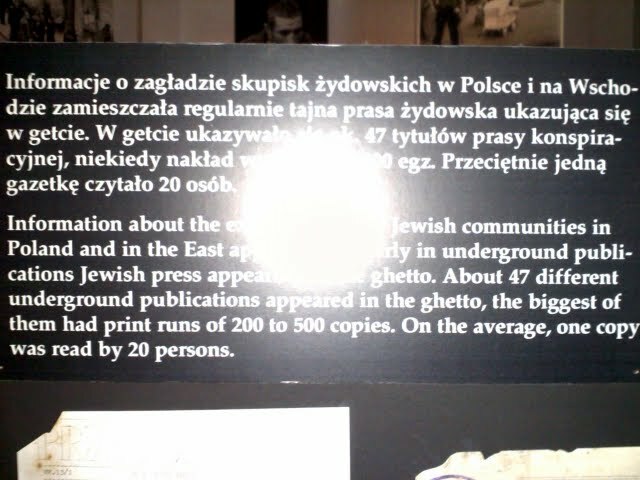 There are papers and photos about the Warsaw Ghetto, the uprising and the many who were killed. I’m not going to go into the whole history, because that would take way too long and hopefully you already know at least some. 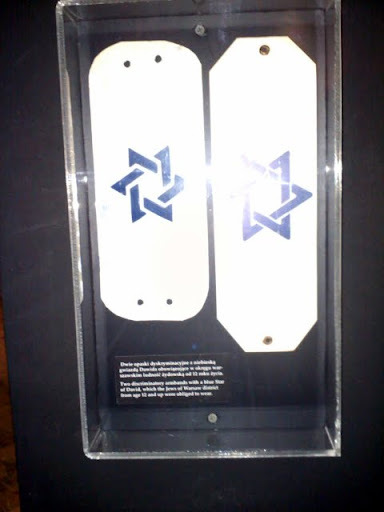 The Nazis forced every Jew post-age 12 to wear one of these armbands. 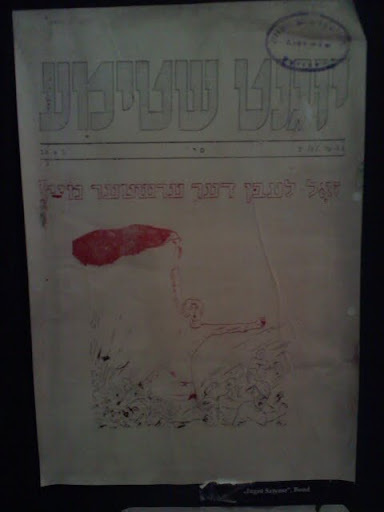 Only one of my photos of a publication came out and I have no idea what it says. But you can easily get a feel for the sentiment from the image. It is difficult to capture the scale of the artifacts, papers, and collected history that is in this rather small building. It is three stories tall, but narrow. This is a view from the stairs going up to the third floor. 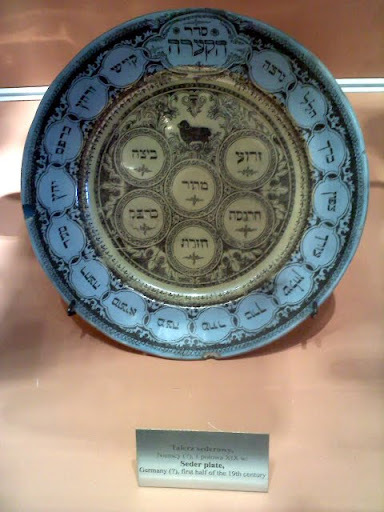 This is a Seder plate that survived. It is from Germany, first half of the 19th century. During the Seder, one of the fun things for kids is to hide the matzoh. Traditionally, at least for us, the Patriarch of the house (my grandpa) would bribe us to get the matzoh back. One year, I got $15! 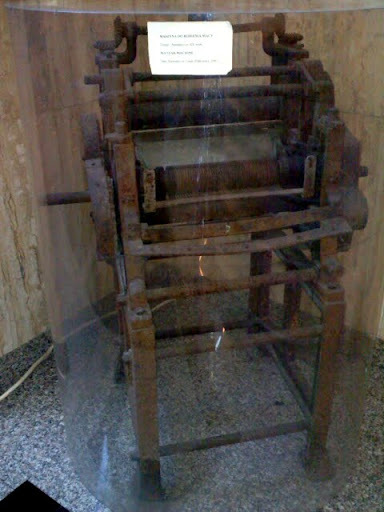 This Matzoh machine was in the hallway close to the front door. Those of you who know me know that I call myself a “bad Jew.” I semi-celebrate Hanukkah and nod at the other holidays. I was mostly raised Unitarian and lift a skeptical eye at organized religion. 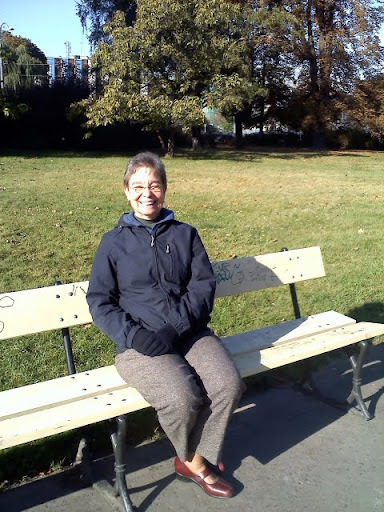 That said, I have always felt a connection with my Jewish history and heritage. When I look at the images of people in the Ghetto, the recovered papers and artifacts, menorahs from the destroyed Poland, I see my history. 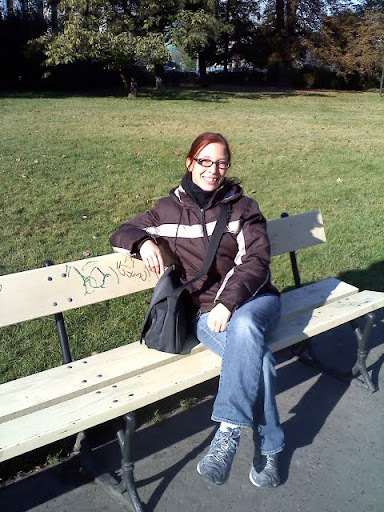 This entry was posted in musings, Poland, update by hoyden. Bookmark the permalink.